Resources are allocated to ensure that junior faculty develop into independent investigators, and the academic leaders of tomorrow. Faculty development program are integrated with departmental activities and structured to ensure broader institutional collaboration. Advances in the prevention, diagnosis and treatment of urological diseases are nurtured in UCSF's dynamic research environment. Internationally recognized basic scientists and clinicians work collaboratively to understand disease at the cellular level, then creatively apply their findings to improve patient care. 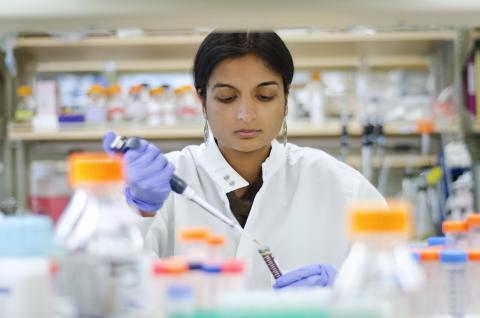 UCSF is known for a spectrum of research in urological cancers, non-cancerous diseases, and pediatric urology. Our research programs receive substantial funding from the National Institutes of Health and from other public and private entities. In many cases, our research programs encompass multi-center studies headed by UCSF investigators.